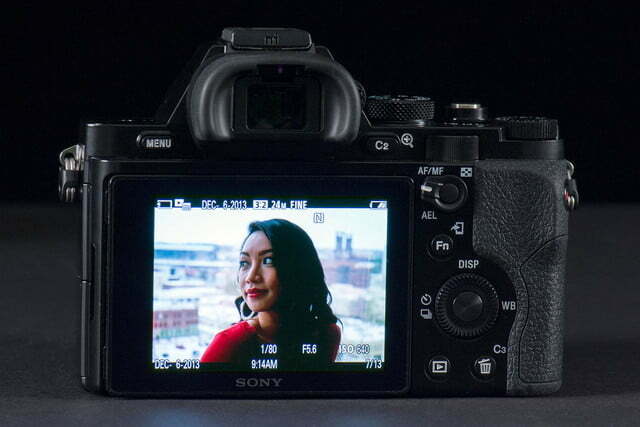 The A7R is the flagship model in Sony's new line of mirrorless full-frame cameras. It has more megapixels and no low-pass filter to achieve the highest quality images, but with a high price tag attached. Without doubt the Sony Alpha A7 and A7R are two of the most exciting new camera introductions of 2013 – arguably the most exciting. They’re the smallest full-frame interchangeable-lens models (and the first full-frame mirrorless cameras) ever introduced, and they deliver imaging goodness in a major way. Does it warrant calling them cameras of the year? Let’s jump in to find out, but, spoiler alert, they are – provided you are willing to splurge. 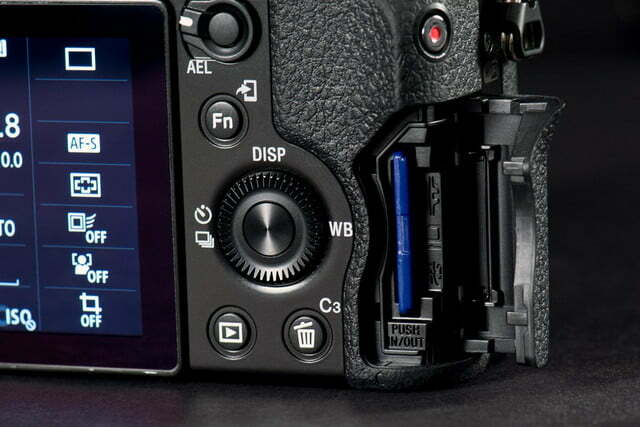 On the surface, the mirrorless, Wi-Fi-enabled A7 and A7R are identical, yet inside they are quite different. The less-expensive A7 has a 24.3-megapixel full-frame sensor with a hybrid autofocus (AF) system, while the more expensive A7R has a 36.4MP imager with Fast Intelligent (contrast detect) AF. It also doesn’t have a low-pass filter that enhances resolution – as if 36.4MP wasn’t enough! In either case, this is the high-rent district since the A7 costs $1,700 body only, $2,000 with a 28-70mm zoom; the A7R is $2,300 just for the body, and there’s no lens kit option. And don’t dare dream of a discount. Although there may be some availability in December, supply is expected to be very tight. Sony Electronics President Phil Molyneux told us the company had ramped up early orders for the cameras, likening it to the introduction of the wildly popular $3,000 Cyber-shot RX1. Even with that in mind, they were surprised at the incredible demand for these pricey, groundbreaking cameras. It doesn’t take a brainiac to imagine this going far above list on eBay for the holidays. These are excellent, groundbreaking cameras with color, capability, and detail that will make any photographer happy. We’ve long touted full-frame still quality as the pinnacle of digital imaging in the mass-market level. Nothing beats the accuracy and detail of photos taken by these sensors. Our biggest complaint has always been price, which relegates their appeal to photo professionals and enthusiasts. Sony has taken steps in the right direction with this pair, but they’re still costly. For example the 36.4MP full-frame Nikon D800E – also without a low-pass filter – costs $2,999 versus $2,300 for the A7R. 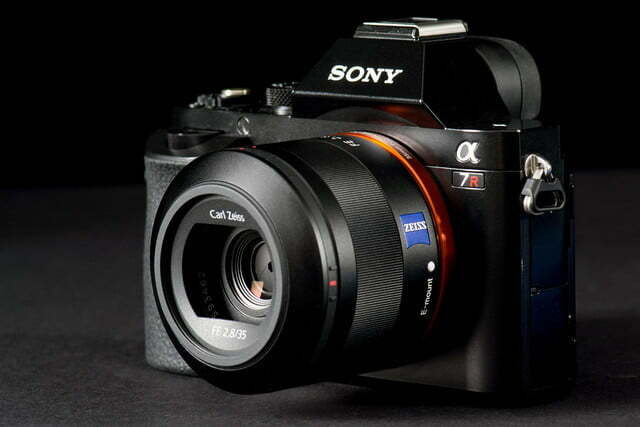 While certainly not a direct physical comparison, the A7R is more affordable – and it’s much, much smaller. Sony claims both A7s are the world’s smallest full-frame interchangeable lens models (as of today) and we won’t argue with their lawyers. Still, they are sturdy, have magnesium alloy frames, and are relatively compact featherweights compared to DSLRs like the D800E. The A7 measures 5 x 3.75 x 1.9 inches, weighing just 17 ounces with battery and card. 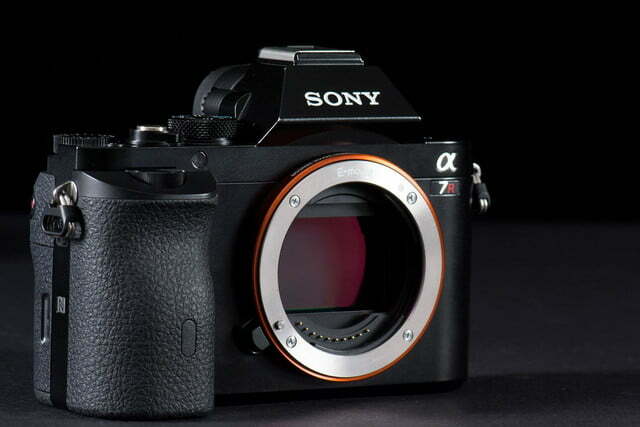 The A7R weighs just a fraction less but has the same dimensions. The D800E is 32 ounces just for the body. Not to say you can put the A7 in your pants pocket but it won’t cause any rotator cuff injuries as you carry it around. 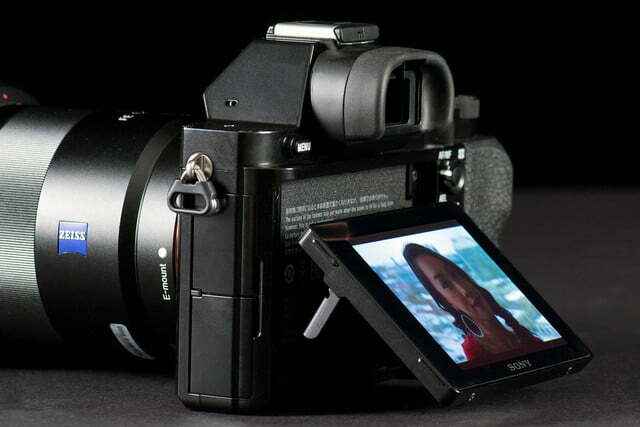 The key feature on the front of both cameras is the new full-frame E-mount. There are five FE lenses designed specifically for it from Sony and Carl Zeiss at this time; you can expect more in the future. If you have A-mount glass, Sony has a $350 adaptor (LA-EM4) so they’ll work with the new cameras, offering full AF and Translucent Mirror Technology as added bonuses. There are other adaptors available as well. The A7 all-black bodies have good-not-great sized grips, with textured surfaces for the grip as well as the thumb rest on the back; the remainder (and there isn’t much) has smooth surfaces. There’s a jog dial at the top of the grip to make menu adjustments, depending on the mode you have selected. 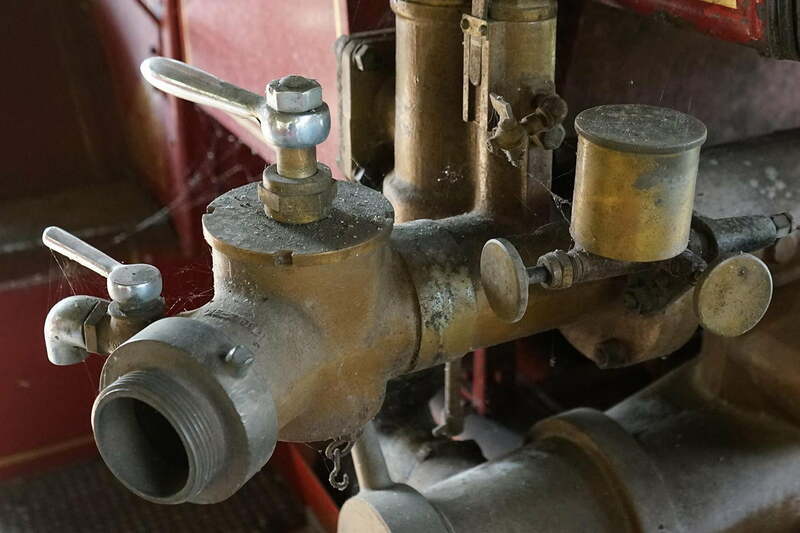 On the top deck you’ll find two pinhole stereo mics, a hot-shoe atop the viewfinder hump, main mode and compensation exposure dials, power on/off, shutter, and C1 (Custom 1) to set as you wish; we chose ISO. The mode dial has basic and advanced options including Intelligent Auto, PASM, two custom options, Movie, Sweep Panorama, and Scene (9 choices). Neither newbies nor sophisticated shooters should be intimidated by these options but advanced users will appreciate the amount of customization available. Both A7s also look the same from the back. 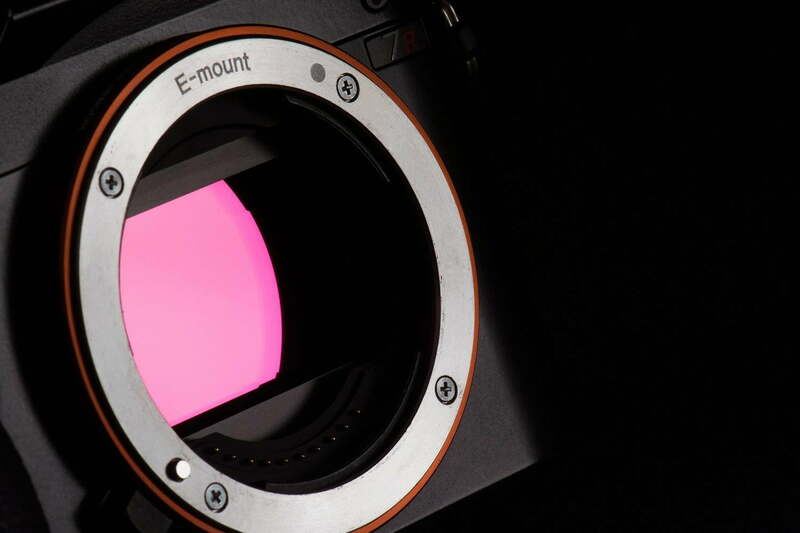 There’s a 2.4-million dot XGA OLED EVF with diopter control and a 3-inch tilting LCD monitor rated 921K dots. The OLED EVF is a beauty and is extremely helpful as you can preview your photographic changes, an impossible feat for DSLRs with their optical viewfinders. (The A7s’ EVF is so good that we recently wrote an ode to why we now love these viewfinders.) The LCD is fine, once we put it into Sunny Weather mode to deal with direct sunshine. It’s not as flexible as we’d like but lets you shot overhead and at waist level. There’s a full range of buttons and dials on the back, as well, including Menu, Custom 2, another jog dial, Auto Exposure Lock (AEL)/auto-manual focus switch, Function, Playback, and Delete/Custom 3. There’s also a control wheel with center OK button offering direct access to Display, WB, self-timer/burst mode. 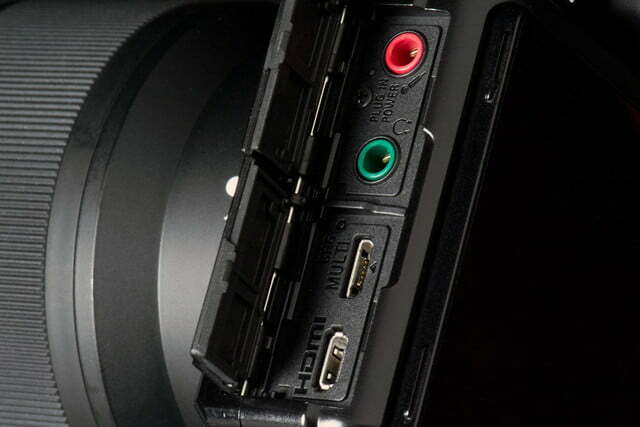 On the right edge is a red-dot movie button, card slot – it accepts Memory Stick and SD media – as well as an NFC chip to connect with smartphones. As noted earlier, the cameras are Wi-Fi-enabled so you can easily share your images using the downloadable PlayMemories Mobile app. On the left is a compartment for power- and headphone-ins, along with USB and micro HDMI connectors. The bottom has the tripod mount and battery compartment. It’s here you’ll notice a big difference between these mirrorless cameras and DSLRs: the battery is rated 350 shots compared to the 900 of the D800E (others are similarly more potent). If you plan on using the LCD a lot – and most people will – you’ll definitely need a spare. Another difference is the lack of a secondary LCD display, something that’s found on the top deck of enthusiast-level DSLRs; there’s simply no room for it. And there’s no built-in flash. Put that on your list of things to purchase. Besides the camera body (and lens, if you opt for the A7 kit with a 28-70mm zoom lens) you’ll get the battery, plug-in charger, various caps, and a strap. You’ll need to download PlayMemories Mobile for Wi-Fi/NFC tasks on your iOS or Android smartphones (NFC on supported Android devices only) and Sony’s software for handling RAW files. But seriously, if you plan to own a camera like this, Lightroom, Photoshop, or similar program should be on your computer. We had the opportunity to extensively use the A7 and A7R during the late October official launch press trip in Nashville, and we also were sent the cameras for a more leisurely session several weeks later. For our review, the company provided the Sony 28-70mm f/3.5-5.6 OSS zoom and both Zeiss f/2.8 35mm and f/1.8 55mm prime lenses. For our shooting sessions in Tennessee Sony offered a wide variety of subject matter and lenses. We went to a horse farm to photograph horseback riders as well as more stationary people and things. We also went to the Jack Daniel’s whiskey distillery for a walk-through the various exhibits (don’t worry, it’s located in a dry county). Another time we were given male and female models to pose on a Nashville Music Row building rooftop. 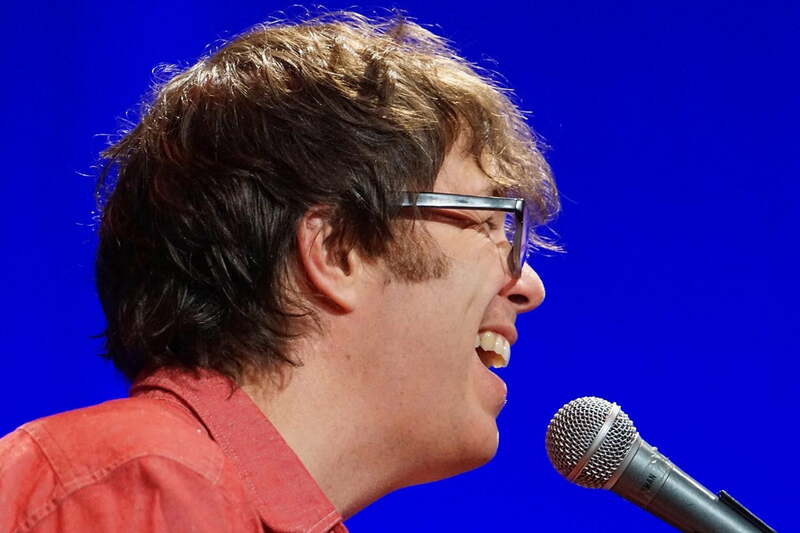 Country singer Leah Turner and her band performed in the studio and we were even given the opportunity to photograph pianist Ben Folds playing a concert at the legendary Ryman Auditorium. Additional venues included scenic Rock City near Chattanooga and capturing off-road drivers in the rainy, autumnal woods. On top of this, we had our Arizona locales including a walk through the Desert Botanical Gardens and the current exhibit of Dale Chuhily glass sculptures. While we had a trio of lenses in Arizona, we had access to many A-mount lenses in Tennessee, using them with the optional adaptor. We even used a gigantic 100-400mm telephoto during the Folds concert. After shooting a wide range of different scenarios in both locales, we had a very good idea of just what these cameras can do. Needless to say, we spent a lot of time with the cameras, and we are sad to see them go. Let’s cut to the chase: These are excellent, groundbreaking cameras with color, capability, and detail that will make photographers of all shapes and sizes happy. Are they perfect? Of course not. We’d love to have a little more burst speed for action and longer battery life but that’s just two of the very few minuses in the ledger. We found the cameras to be well designed and comfortable to hold. The A7/A7R with the 28-70mm zoom outfit feels really sturdy and was a go-to kit for many shots, but we had a good time with the primes as well. Forget that 100-400mm since we didn’t have Schwarzenegger arms or a tripod at the time, but know that it’s possible to attach something that big to these cameras. The images were top-notch for the 24MP A7 and 36.4MP A7R. There’s a lot of debate about which is better. We took great shots with both. 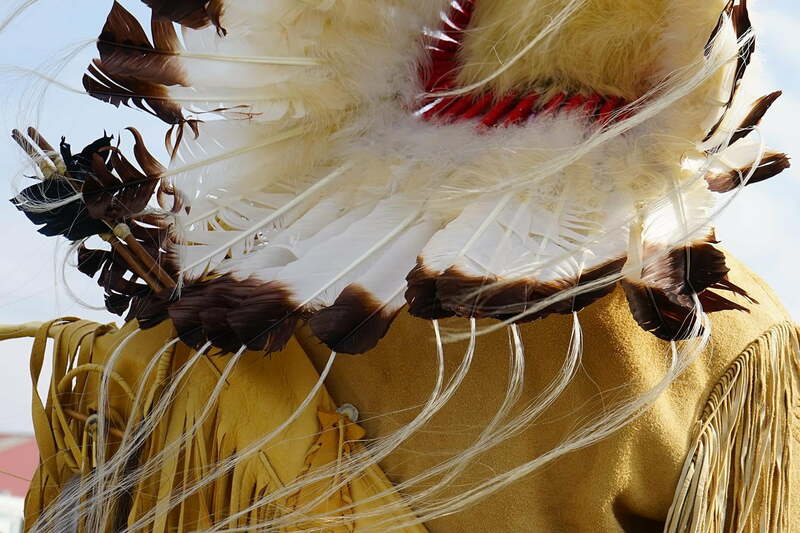 Now this may seem like a cop-out but the image taken of the American Indian headdress from the A7 (shown) won the prize as the best photo of the day out of submissions from all the photographer/journalists on the trip. We feel great about winning but it shows that it’s not all about the megapixels or the lack of a low-pass filter. It was a JPEG taken with the kit zoom (f/10, 1/125, ISO 100) at 70mm. 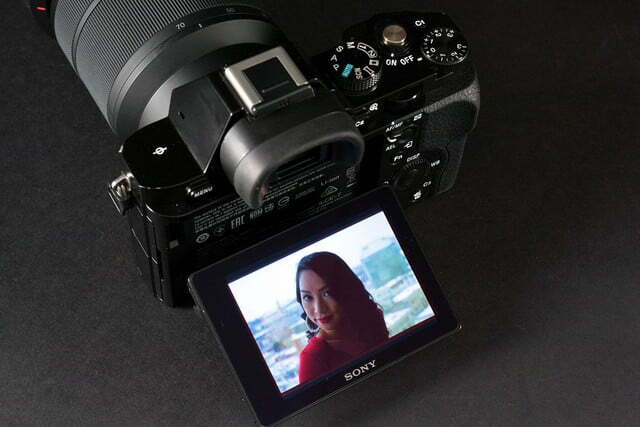 The A7/A7R take videos that are far superior to anything you’ll get with comparably priced DSLRs. 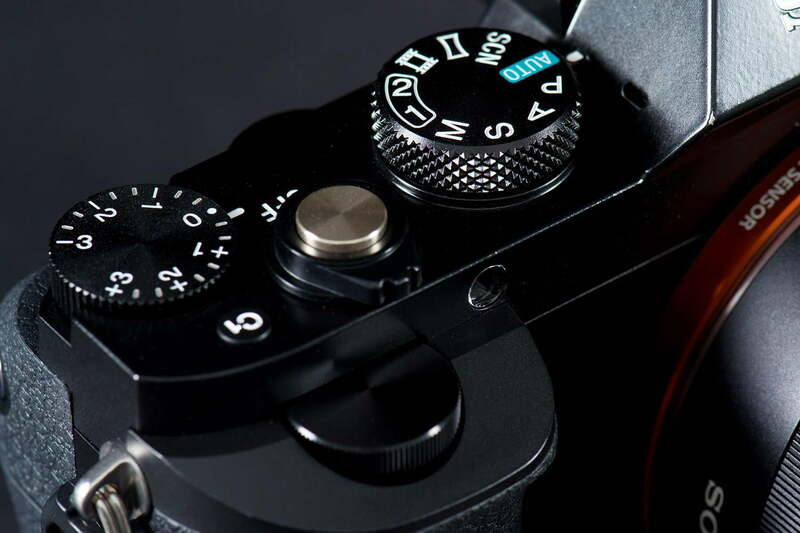 Besides megapixels another key difference between the two Alphas is the focusing system. 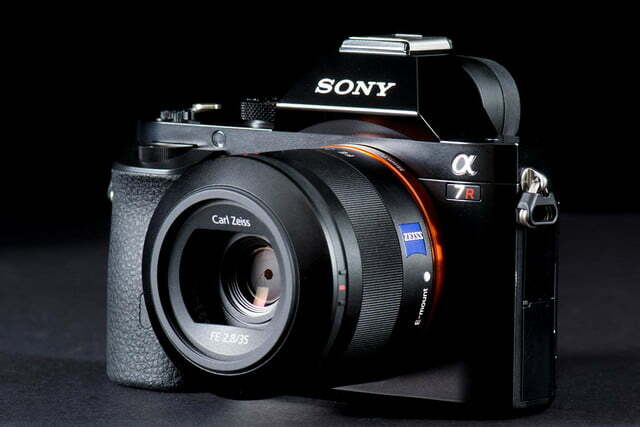 The A7 uses Hybrid AF which is a combination of phase detect and contrast phase focusing. This is found in better Compact System Cameras and it works very quickly with zero hesitation. It’s a real plus and we prefer this system. 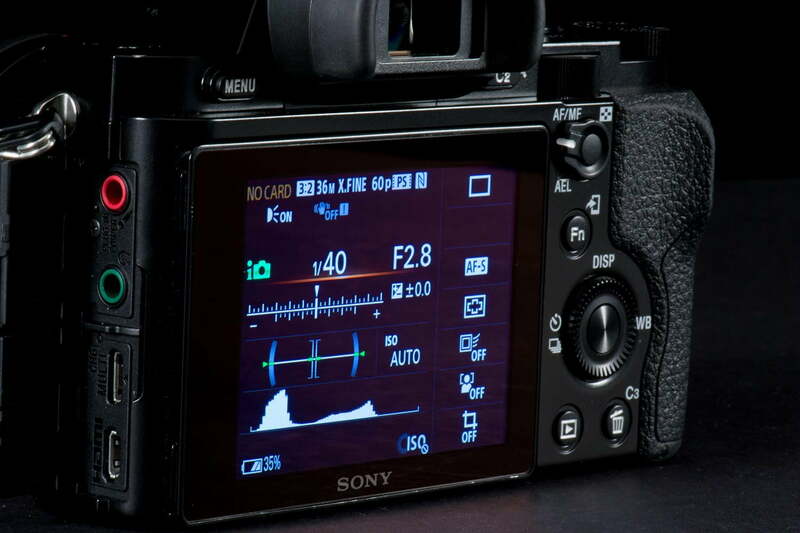 The A7R features Fast Intelligent AF which is just contrast detection. We did notice just a slight bit of hesitation compared to the A7 but it was hardly a deal breaker or very noticeable in real-world situations, but nonetheless it’s there. And because of all of those added pixels, the A7R has a slower burst mode (1.5 frames per second vs. 2.5) but if you use Speed Priority it’s 4 vs. 5 fps respectively. We were able to grab some crisp shots of horses running with the A7 but really feel these cameras are best for those who compose their shots, not action. Once you get them into your computer and start enlarging them, you’ll be amazed at the detail. It’s one of the reasons we’re full-frame evangelists for serious photography. There is also another difference between the pair: noise. Not noise in image quality, but the audible kind. Neither is whisper-quiet but the A7R is a tad louder. Street photographers will definitely have problems taking stealthy shots with this pair. Again, is this a big deal? A hands- (or ears-on, rather) test will let you know if it might impact your shooting style. Both cameras have ISO ratings of 50-25,600. The default is ISO which uses MultiFrame Noise Reduction so it combines several frames to eliminate noise. This slows the cameras a bit. Move out of this setting and you’ll have a full gamut of single-frame choices. 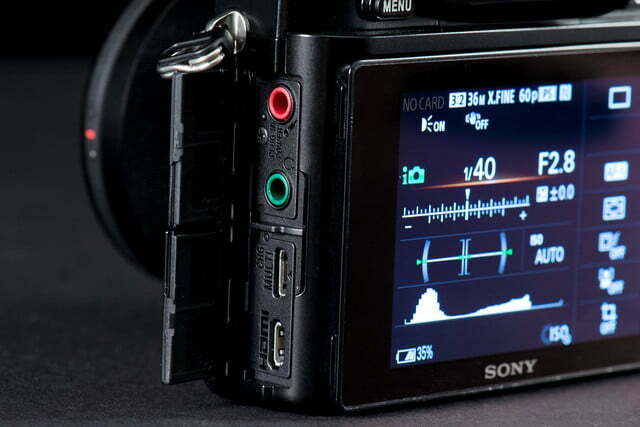 In our tests the A7R – which does not have a low-pass filter – held up very well to the 6,400 mark and then noise began to gradually appear, and we do mean gradually. At 25,600, it was still usable, which you should expect with a full-frame imager. The A7 delivered similar results at 6,400, but then seemed to deteriorate a tad worse at the highest levels. Is this and the added resolution worth $600 more for the A7R? That’s your call but it doesn’t seem so to us. 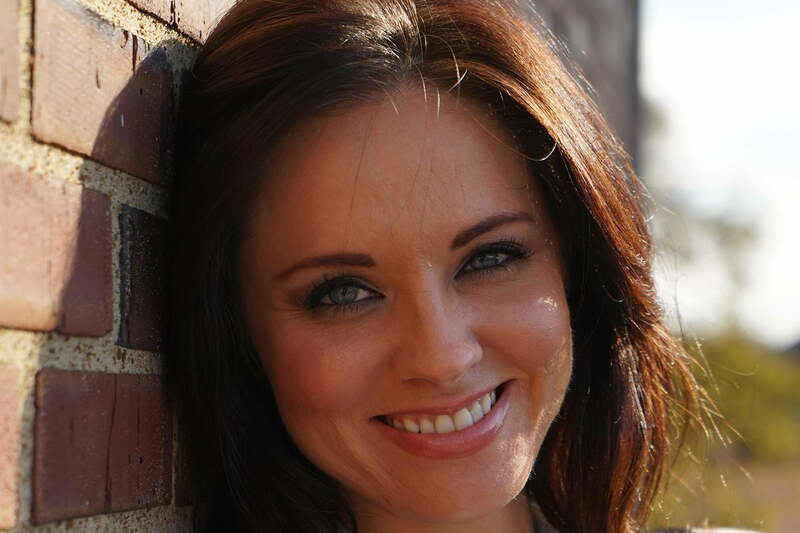 Either way, with a nice wide aperture prime you’ll get fine available-light images. 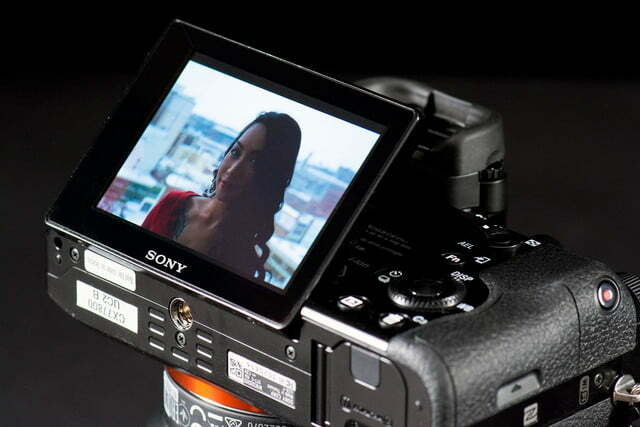 The A7/A7R take videos that are far superior to anything you’ll get with comparably priced DSLRs. You can shoot AVCHD Progressive (1080/60p), which is about as good as it gets for consumer movies. Better yet, focusing in not a chore – something that’s an issue with most Live View DSLRs other than Canon’s Dual Pixel EOS 70D, a camera we tested at the same time as the new Sonys. Clips we viewed on a 27-inch monitor had very little rolling shutter or moiré; colors were right on target as well. When it comes to Wi-Fi, Sony and Samsung rank up there as the best of the camera bunch. No shock here as both have smartphone divisions helping them out. As we’ve reported many times before, the Sony PlayMemories Mobile app is a good one. Since we had it on our Droid 4, pairing was simple and we could then quickly share shots in Facebook – the same can be said for the iOS version. Our phone is NFC challenged so we can’t comment on that attribute, but we have successfully paired other NFC devices before and we’ve never had issues. If you can afford – or find – either of these cameras, buy one. 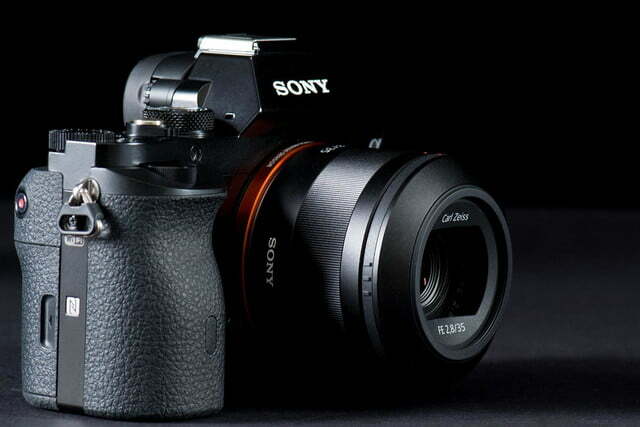 Year 2013 isn’t over yet but the Sony Alpha A7 and A7R are prime candidates for DT’s Cameras of The Year award. In fact, barring the release of a spectacular model from the majors in December, we’ll give our vote right now to the A7, clearly one of the most enjoyable cameras we’ve used in quite some time. As we’ve written before, full-frame cameras are overkill for casual shooters. But if you’re looking to elevate your photography, these A7s are great considerations. Again, let’s not kid ourselves, these cameras are expensive and really designed for the so-called serious photographer, but they also show that prices for full-frame cameras are lower than before, so we may see a response from Nikon and Canon in 2014, which can only mean good things.